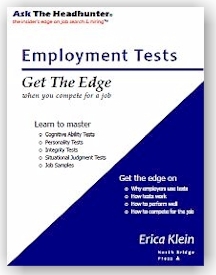 In my book, Employment Tests: Get The Edge, I explain that "The goal of this guide is to give you an edge on pre-employment tests by arming you with an insider�s understanding of tests, by reducing your anxiety and frustration, by minimizing common errors in test taking, and by increasing your accuracy as a test taker." Even though I am what you�d call an insider in the pre-employment testing business, certain aspects of testing bug me -- and it might surprise you that my concerns may be similar to your own. And even though testing is a science, the design of some tests and the practice of administering tests demand scrutiny. I hope my perspective on these issues can help you in your job search when you encounter testing. My #1 complaint about pre-employment testing is the disrespectful treatment of test takers. This can start when you are asked to take a test without warning or explanation. It continues through tests that seem to make no sense in the context of the job, and it can culminate when employers provide no feedback to test takers about test results. Job postings can -- and should -- describe tests that applicants will be required to take. When test invitations are issued, they should provide useful information about the type of test to be administered and the reason for using the test. What should you do if you encounter disrespectful treatment related to pre-employment testing? My advice is to continue with the testing process if you still want the job. After you are through the selection process, you can let the employer (the hiring manager and HR) know how the testing process felt disrespectful to you. It is certainly not your job to bring this to HR�s attention, but if you choose to do so, it might help bring about needed changes. Let me step aside for a moment and argue a point that is controversial in this neighborhood: I firmly believe that most HR employees are caring people who want to do a good job and want to treat people as well as possible. The recruiting function, unfortunately, is also in the business of rejection. HR must eventually reject all but one applicant for each open position. Many of those rejected might have been able to perform the job adequately or even well, but only one person can be selected. Even though delivering negative feedback is a big part of HR�s job, I believe the majority of HR employees would like to treat you as respectfully as possible. My #2 complaint about pre-employment testing is lack of "face validity." Face validity is a subjective judgment the test taker makes about at test, not a quality of the test. A test is face valid if it appears to be measuring what it is actually measuring. Since pre-employment tests are always measuring and predicting attitudes, behaviors and knowledge related to work, the test is face valid when it asks questions related to the work. For example, in my opinion, face-valid pre-employment tests should not be asking about how you act at parties, your personal life, whether you take the stairs two at a time (I�m serious: this is a famous, real test question!) or anything that does not appear to be related to the work. Nonetheless, tests can lack face validity but still be good tests for predicting job performance. In the scientific underbelly of testing we can often predict your job behaviors and performance from weird things � including how you act at parties, the criminal behaviors of people you know socially, how energetically you climb stairs, and what color shoes you wear (Yes, this is another famous study!) 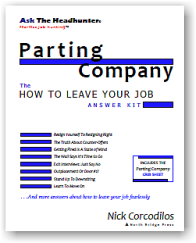 � but, in my opinion, these types of questions have no place in pre-employment tests. They are frustrating and confusing for test takers and result in mistrust between test takers and employers. What can you do if you encounter a test that is not face valid? First, momentarily put aside your distaste (and mine). Remember that, even though a test is not face valid, it might still be a good test in other ways. It might be good at predicting your fit with, and likelihood of success in, the job. In other words, in spite of our belief that a test is not face valid, it might actually help you win a job or avoid a job that would not be a good fit for you. So you might be surprised at my advice: Take the test and compete for the job. Nonetheless, if you encounter test questions that make you too uncomfortable, then feel free to abandon the test and the job opportunity. My #3 complaint about pre-employment testing is that some employers use tests that are no better than horoscopes. Take a look at this article about bad tests by Dr. Wendell Williams: "Is Your Hiring Test A Joke?" Dr. Williams says it very well: "When something looks good on the surface, but [is] completely without merit, it is called a joke. You might not have thought of this before, but many hiring tests fit that bill. I�m talking about tests that deliver numbers and data that look good on the surface, but do nothing to predict candidate job success." Employers have an obligation to use tests that are good at predicting success, and you have a right to expect that any test you take will indicate your chances of doing well at a job. As a job applicant, you might find it difficult to tell bad tests from good tests -- especially given that not all good tests will look like what you think they should (see complaint #2). There is absolutely a right way to develop tests, and there are a lot of good tests out there. It�s not an easy read, and it was outside the scope of Employment Tests: Get The Edge, but if you want to understand what it takes to develop a great test, consult the American Psychological Association�s "Standards for Educational and Psychological Testing." What should you do if you have done your research and are confident that you are facing a bad test � a test no better than snake oil, a test based on junk science? I think you should walk away. Employers who use bad tests are demonstrating (or tolerating) a general lack of good judgment and critical thinking. Those might be failings that reveal employers to be avoided. What bothers and concerns you the most about pre-employment testing? Please join Dr. Erica Klein on the Ask The Headhunter Blog to discuss your concerns and experiences with employment testing! You've just read an insider's beefs about employment testing -- a companion article to Dr. Erica Klein's insider guide to employment testing. Employment Tests: Get The Edge! Have you already lost a great job? Or a chance for an interview? Get The Edge over your competitors! Learn from a testing expert! Prepare to perform at your best! 36 pages of insights and advice to help you in any test encounter. Over 30 links to online references and example tests selected by Dr. Klein herself. 23 Get The Edge tips to help you prepare for your next test. How to handle intense Assessment Center testing. How to protect your rights. How to ask for information you need before testing. the edge to do your best every time! Please tell us what you think of this article. Erica Klein, author of Employment Tests: Get The Edge, is a Ph.D. Industrial Psychologist who has worked in the field of strategic, competency-based selection and assessment since 1998. Her roles have included internal and external consultant and trainer in industries ranging from public sector to healthcare to professional services. She is a popular conference speaker and author. Her passion is to take the insights that benefit employers and share them in a way that benefits jobseekers -- a win-win for all parties. Find her on LinkedIn: www.linkedin.com/in/ericarklein/. Erica tweets job search tips at @EricaKleinPhD #jobsearch. Dr. Klein can be reached by e-mail at EKlein@yahoo.com. The contents of this site are Copyright (c) 1995-2015 North Bridge Group LLC. All rights reserved. This material is for personal use only. Republication and redissemination, including posting to news groups, is expressly prohibited without prior written consent. Ask The Headhunter, Fearless Job Hunting, the ATH logo and other ATH titles are trademarks or registered trademarks of North Bridge Group LLC and Nick A. Corcodilos. User agreement, legal information and disclaimer. Visit the Ask The Headhunter Blog and sign up for your free subscription to the weekly Ask The Headhunter Newsletter.